This is the first in a planned series of hands portraying emotions. I dedicate this one to my parents who both past away in 2010. 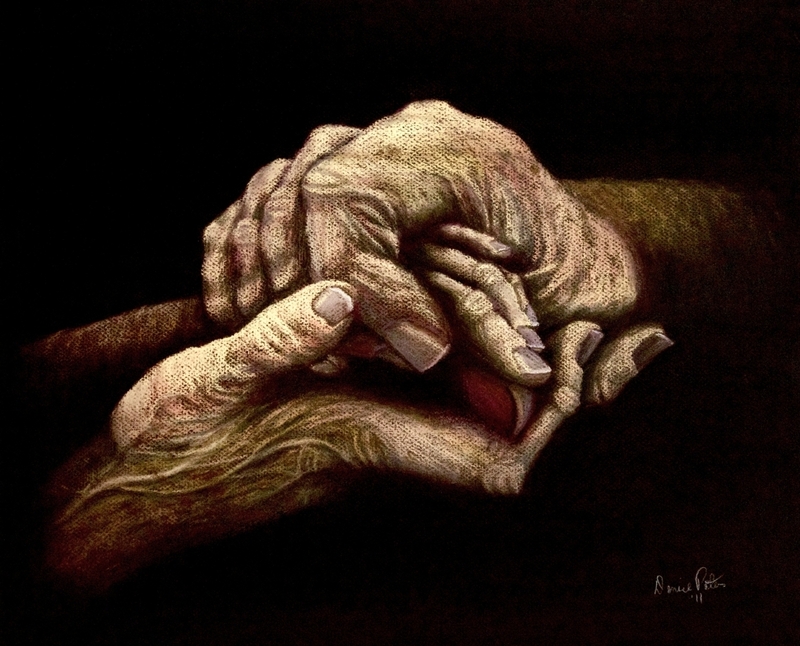 I wanted to show the hands of an elderly couple who are still hanging on tightly to each other even after all the years that have past. It put the hands in stark contrast to the background to emphasize the loving hands in contrast to the world around them. It is done with soft pastels on Canson pastel paper. The original is framed. 8" x 9.875"11" x 13.625"14" x 17.375"17" x 21"